Diabetes can cause a variety of serious health problems, including effects on the eyes. Health experts recommend careful monitoring of eye health for these patients. Here are some of the frequently asked questions we encounter at Eyes Over Copley in Boston, MA. Diabetic retinopathy describes changes in the blood vessels in the eyes that can cause loss of vision in individuals with diabetes. The condition can be progressive or sudden, and the individual may not notice any symptoms in the early stages. That’s why more frequent eye exams are recommended for individuals who have diabetes. Diabetes-related eye problems can cause the appearance of spots or strings in the field of vision. The individual may notice blurring of vision or fluctuating visual acuity. Color perception may be impaired. You may notice empty areas in your field of vision. Sudden vision loss can occur. 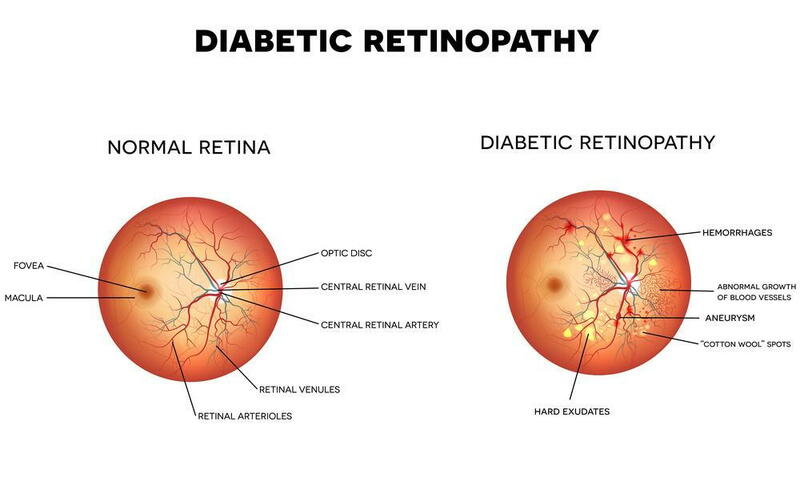 The longer you have had diabetes, the greater the risk of developing diabetic retinopathy. Patients who have difficulty controlling their blood sugar levels are at high risk for vision problems. Those with high blood pressure or high cholesterol also have a higher risk. Smoking increases the risk of diabetic retinopathy. The dysfunction of blood vessels in the eyes can lead to hemorrhage in the vitreous fluid, retinal detachment, glaucoma, and blindness. Dr. Patricia Fox and the team at Eyes Over Copley are committed to providing quality vision care for their patients in Boston, MA and surrounding communities. We offer exams, contact lens fitting, computer vision, and sports vision, as well as management of eye diseases. Call Eyes Over Copley today at 617-859-0630 for an appointment to have your eyes checked to prevent vision damage from diabetic retinopathy. What questions do you have about diabetic eye care?